Oh what a way to start the week! That’s right, people It’s National Napping Day! If you’re still feeling the effects of the weekend, you might want to make the most of this day. Although it’s technically for America, providing the chance to catch up on lost sleep from the clocks going forward, there’s no reason why us Brits can’t jump on board too. (Our clocks go forward 27th March “ 1 am, in case you’re wondering.) And before you tell yourself you don’t have time for naps in your workload, how about 2 hours worth of sleep in 20 minutes? Introducing Viparita Karani! Although, you may want to take your attire into consideration before resting your legs up the wall. 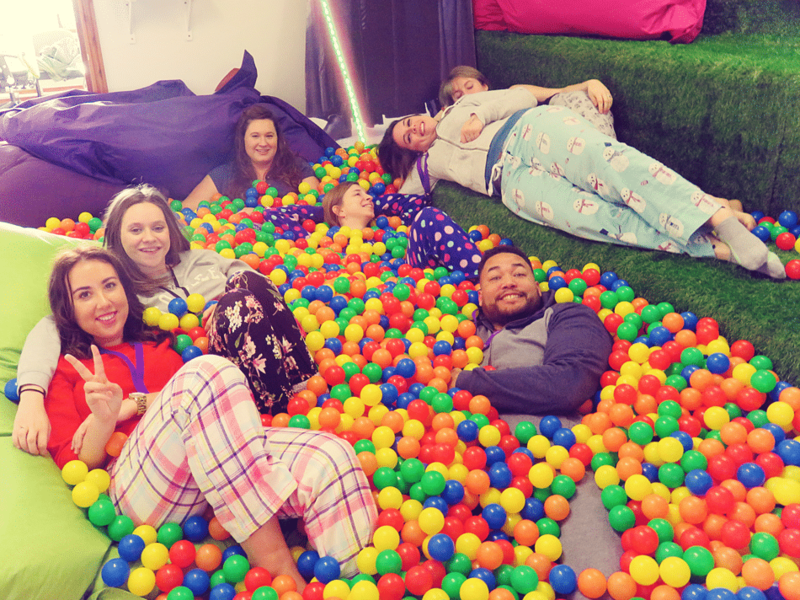 We at Sleeping Giant Media have taken to our pyjamas for National Napping Day and donated a small amount in support of Cancer Research UK.